The lovely folks of PAWLING print studio sent me a set of their adorable onesies which have quickly become our favorites at casa swissmiss. They are on heavy rotation on the little man. 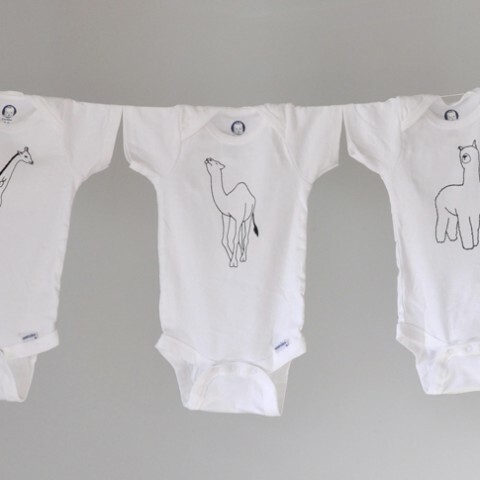 (He is sporting on in the above picture) The front of each onesie features a screenprinted minimal animal illustration. Yes for simplicity! So cute! Is that an alpaca (llama?) on the rightmost onesie?? How adorable. 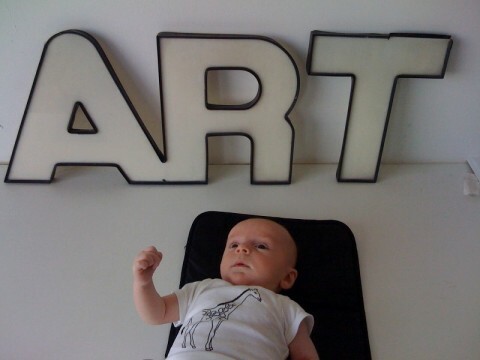 oh my goodness, WHERE did you get those art letters? They are fabulous! Are they stained glass? wow..real cute. I realy like thióse onesies. And they are not that expensive. i like! how gorgeous is Tilo !